Every Father’s Day I find myself reflecting on the advice that my dad gave me over the years. His dad-isms ranged from the sound, (10% of each paycheck should go into savings), to the silly (if you unscrew your bellybutton, your legs will fall off) to the downright practical (don’t stick anything in your ear except your elbow). Some advice I’ve listened to and am grateful for as my limbs remain intact and I have yet to lodge a small object in my ear. Other advice I’ve ignored, as evidenced by my meager savings account. For the most part, I’ve only truly begun to appreciate his insight as I’ve gotten older, my own experiences showing me the wisdom of his dad-isms. 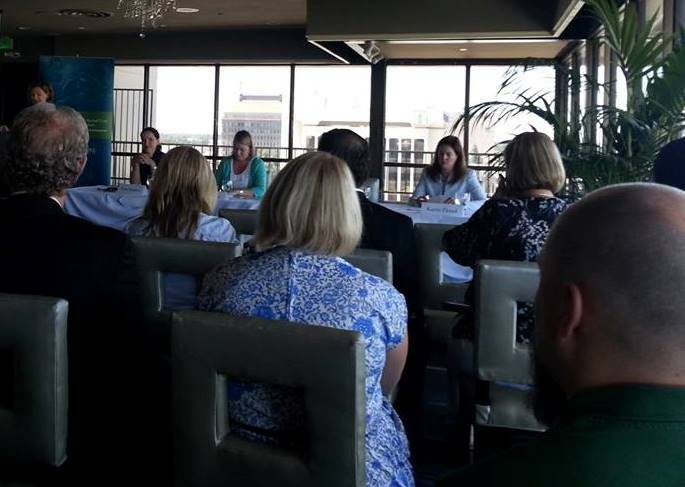 So it’s only fitting that just after Father’s Day, the German Marshall Fund hosted a “Bootcamp,” sponsored by the Surdna Foundation, where various experts shared their advice on how to successfully revitalize downtown Fresno. With all of this reflecting on dad’s life lessons, I was in the perfect mindset to learn from the wisdom of others who have successfully gone where I want to go. Panel discussion on the role of a Business Improvement District in downtown revitalization. I’ve been working with the Downtown Fresno Partnership for 10 months as part of the Strong Cities, Strong Communities initiative and it was exceptionally helpful to hear representatives from other cities and organizations who have faced and overcome the same challenges that we face. Although my dad was an accountant, not a community revitalization specialist, I can’t help but see his wisdom in the advice from the bootcamp’s expert speakers. Chris should know – Cleveland is undergoing a massive transformation, decades in the making, with the installment of the award winning HealthLine BRT which connects hospitals, offices, residential and universities along the city’s major corridor, Euclid Avenue. There are no shortcuts: long lasting, meaningful change must be built on a strong, comprehensive foundation. During the session on Business Improvement Districts, we learned that the Downtown Fresno Partnership is exactly on track with what we should be doing to enhance and promote downtown. Kraig Kojian, President & CEO of Long Beach Associates and President of the California Downtown Association, reminded us that we need to constantly communicate with our community and our elected officials to let them know what we’re doing and why it’s important. Being successful and doing good work doesn’t mean as much if people don’t know about it. If we want support from our community, we must constantly educate and engage. We must tell and retell our story in order to gain momentum and create new opportunities for additional successes. We were fortunate to learn about philanthropy and how to connect with funders from Scot Spencer, Associate Director at The Annie E. Casey Foundation and Chair of the Funders’ Network for Smart Growth and Livable Communities. We heard repeatedly that as we seek funding for our projects, we need to always think about things from the funders’ point of view. He said the most important thing to remember is that “investment follows leadership.” Funders will put money into projects that solve problems. They look for projects made up of multiple partners following a leader toward a common goal. 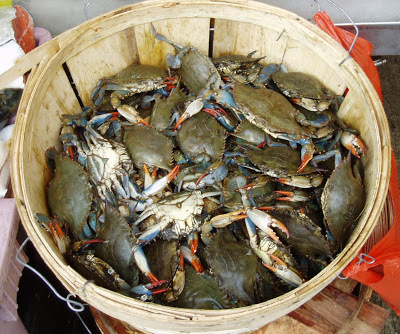 To a funder, stakeholders that can’t work together look like crabs in a bucket -they’re too busy climbing all over each other to make any progress. Funders will only put their money into projects that show promise and won’t be derailed by infighting. To a funder, the reddest flag of all is when stakeholders are more concerned about getting their share than fixing a common problem. Oscar Wilde said, “I always pass on good advice. It is the only thing to do with it. It is never of any use to oneself.” In Fresno, we are fortunate that the German Marshall Fund and the Surdna Foundation believe in knowledge sharing so we can go about our business armed with wisdom, insight and good advice.